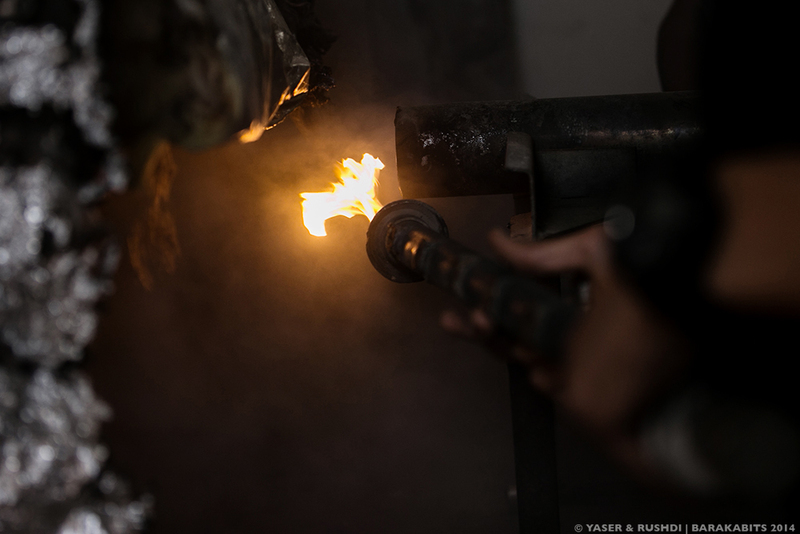 Ibrahim Soboh, a 55-year-old from the Nusairat refugee camp right at the heart of the Gaza Strip, recognized the enormous need for natural resources in Gaza. 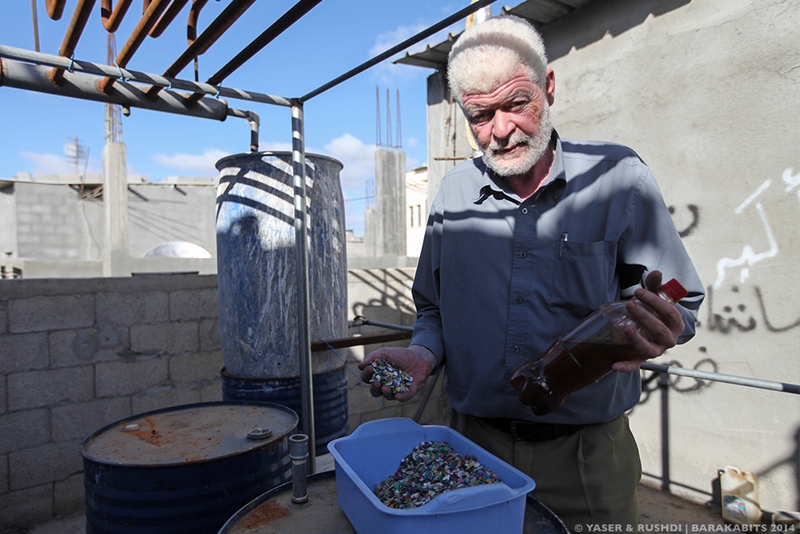 With the added awareness that attaining many of these resources is becoming increasingly difficult in the open-air prison that is Gaza, this resilient Palestinian man made a choice: to build a high-tech plant using only basic equipment, and convert plastic discards into fuel. 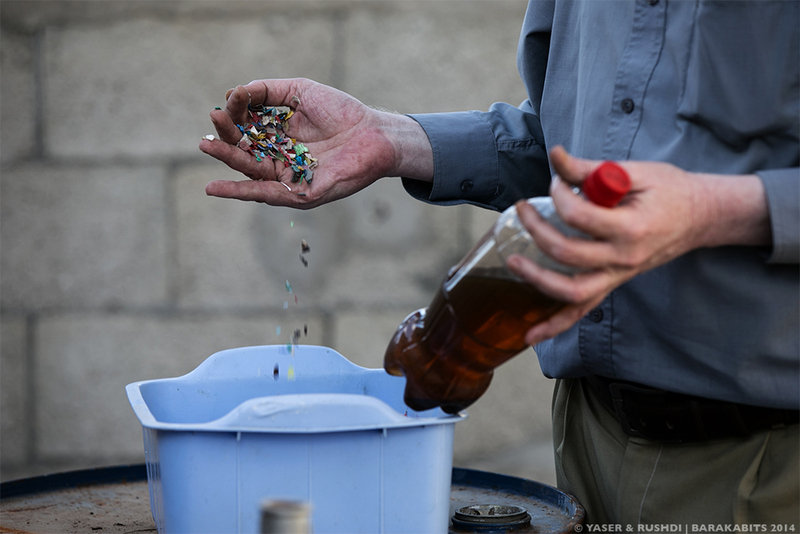 Through his analysis of the thermal plastic to fuel process, Ibrahim was able to understand the method and it then materialized. 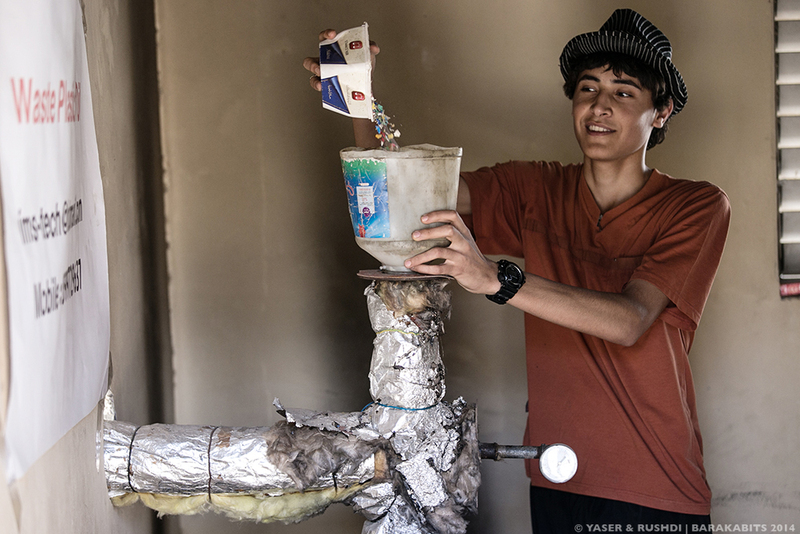 It took Ibrahim seven months to complete the plant, which processes the plastic by first melting it into a vapor, and then condensing that vapor until it eventually becomes fuel. 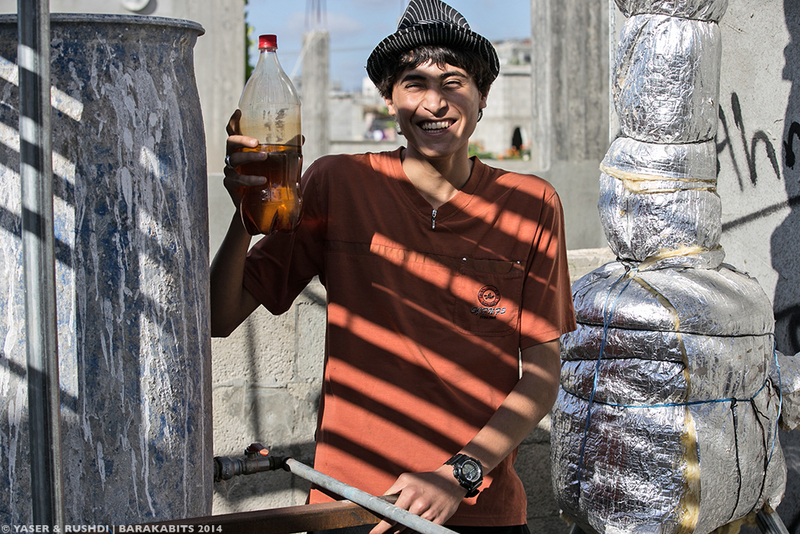 Ibrahim states that approximately every 1.5 kilograms of ground plastic makes one liter of fuel. 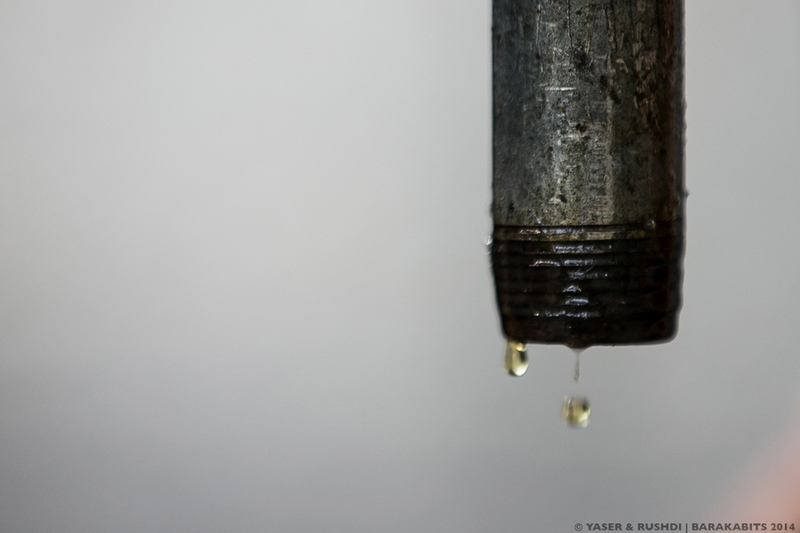 That newly processed fuel is then used to run electricity generators, cars and other heavy-equipment machines that use oil to operate. 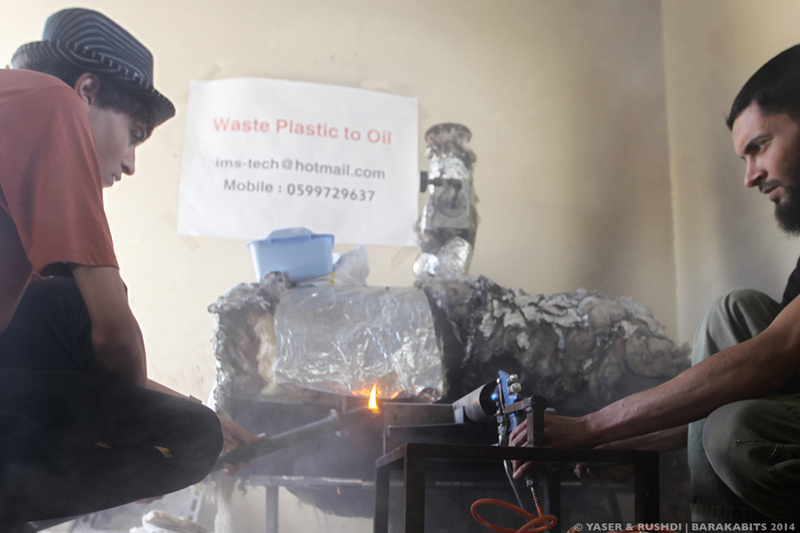 Ibrahim hopes now to search for benefactors to help him set up a larger plant, which he believes will help to quell the fuel crisis in the strip in addition to encouraging others to recycle their plastic. مشروع قلم قصص و حكايات في صور!